A day or two without food and we feel weak and powerless. Going for longer periods without any nourishment will lead to disease and ultimately death. Just as our natural body needs food for sustenance and growth, so also our spiritual bodies need nourishment. A good diet of the Word of God is essential for our spiritual well being and growth. In 1 Peter 1:23 declared that we are “… born again … through the living and enduring word of God.” The preaching of the Word and our response to it resulted in us becoming new creatures – babes in Christ. Now in chapter 2:2 he instructs us on how to “grow up in our salvation”. The method prescribed is to “crave pure spiritual milk, like newborn babies,”. First of all we are to be like newborn babies who crave (spiritual) milk. This figurative language is used to give the readers the mental picture of infants craving nourishment. A newborn has a desire only for milk. He is not satisfied or distracted with anything else. Those of you who have had babies or younger siblings will understand. He behaves as if his very life depends on it. We are to follow that example and depend on the Word for our life. Our Lord Jesus himself said in Matthew 4:4 “Man does not live on bread alone but on every word that comes from the mouth of God.” Job managed to have a godly attitude in the midst of great loss and suffering. He must have grown spiritually because he had learned to “treasure the words of his mouth more than my daily bread” (Job 23:12). How is your desire for God’s Word? Do you read the word regularly? Is there a craving for it and do you have a healthy appetite? Decide now that you are going to regularly read God’s word. 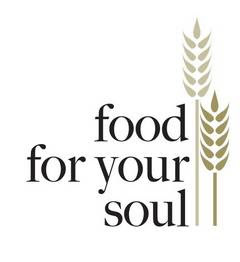 Just as we have plan regular meal times, we also need to plan daily spiritual feeding times. Wilbur M. Smite wrote that “Jesus rebuked the Pharisees twice, the Sadducees twice and the scribes once FOR NOT READING THE BIBLE.” Jesus repeats the question 11 times “HAVE YOU NOT READ?” in the first 3 Gospels. It’s important that we read the Bible! Secondly we are to crave pure spiritual milk. It’s great to read good Christian books, hear sermons and messages, but it’s imperative to go to the Bible ourselves and receive pure nourishment. 2 Timothy 3:16 says that “All Scripture is God breathed and is profitable…” If you read the Bible for 30 minutes a day you can read the entire Bible in 4 months. If you read the Bible for 15 minutes a day you can read the entire Bible is less than a year. Make it your goal to read through the Bible. Desire pure spiritual milk. Most people spend several hours each day on the newspaper, watching TV, reading magazines, surfing the internet. 30 minutes of Bible reading is possible! Below are some excerpts from a booklet by Philip Green on “How to Read the Bible”. PURPOSE - to know God and His Word better. PLAN - to read the entire Bible through in a set number of pages. SCHEDULE - reading a set number of pages (not chapters) each day to finish on a set day. RECORD - keeping records of times read through the Bible, goals in Bible reading through, and marking a calendar each day when the set number of pages are read. When READING the Bible, read rapidly to pick up the ideas. 200 words per minute (about 10 verses) is considered slow reading. If you read less than 200 words per minute, the mind wanders off to other things. 250 words per minute would be good. Make note of anything you want to STUDY later. 44 Bible books ARE SHORT, EACH CAN BE READ IN 30 MINUTES (1/2 Hour). If 2 short Bible books are READ in ONE HOUR daily, 2/3 of the entire Bible can be read SLOWLY in 22 DAYS! There is a difference between STUDYING/MEDITATING on the Bible and READING the Bible. Discipline yourself to read through a fixed number of pages each day. Thousands of people in would testify that the fixed page reading makes it easier to read the same amount of Bible each day. Let’s be a people who READ the word daily so that we may grow up in our salvation. Will you make a decision to spend 15 – 30 minutes a day READING the Word. If you spend 30 minutes a day, you will have finished reading the Bible before end of the year! You can do it! WordOfGraceChurch: NEW SONGS: "Over the past year we at Word of Grace have entered a new season of the favour and grace of God upon us. We have seen much growth, fruitfuln..."
Over the past year we at Word of Grace have entered a new season of the favour and grace of God upon us. We have seen much growth, fruitfulness and commitment in the lives of the people. One of the areas we have been significantly blessed in is, new songs coming from amongst us. Navaz, after many years of struggle and self doubt has finally broken free to write songs in praise of Jesus whom we serve. She has received much support from the band here at Word of Grace ( Joyce, Andrew, Mnason and Vinoth) and to mention some special people like Kate Simmonds, Simon Brading, Alan Preston, David Fernandes and Nigel Pereira, Lydie Greuts. Their support and insight has been invaluable. Here is the link http://www.reverbnation.com/navazdcruz . There are more to come as time goes by. Pray for further anonting and that people will be blessed as they listen to them. These are simple live recordings done at church and in our bedroom. Thats all we can afford to do right now. But we believe as we are faithful with the little, the Lord will make a way for something better. Your thoughts, encouragement and prayers for this fledgling effort will be appreciated.